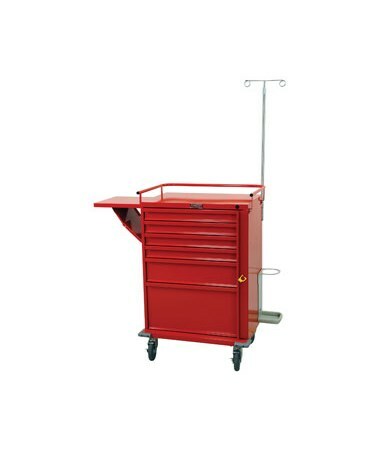 Vertical Drawer space of 30"
The Harloff V-Series Six Drawer Crash Cart is a high-capacity medical storage device designed for healthcare facilities with cost in mind. Awesome and Durable Design. 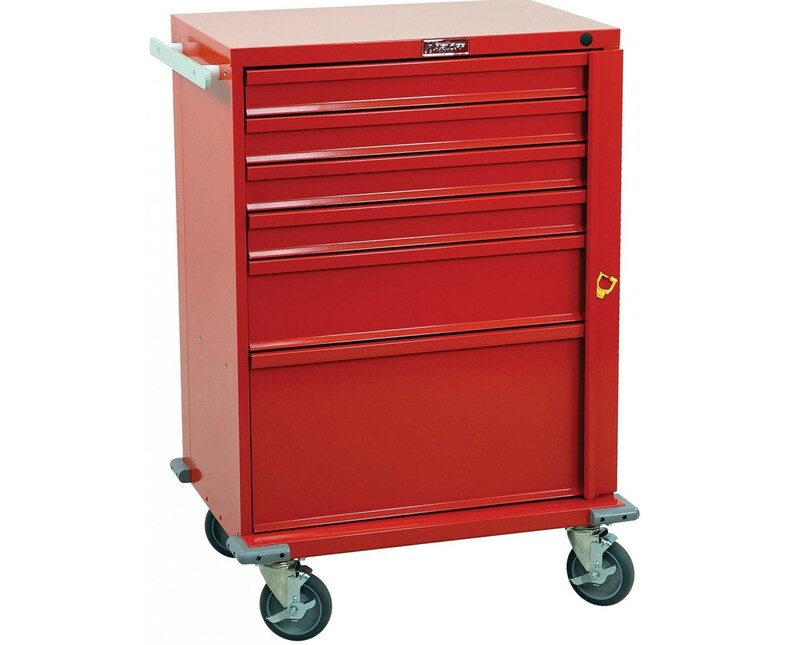 Constructed of steel and latex-free materials, the V-Series Six Drawer Crash Cart is designed to last and has hard-baked powder coated finish with various colors to choose from. 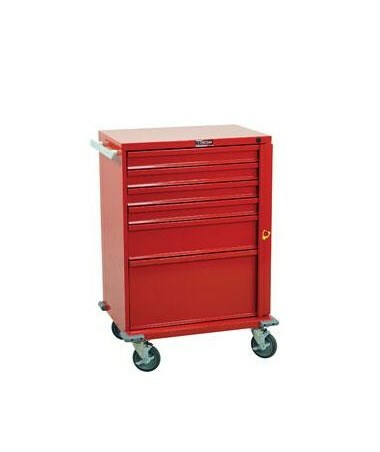 The Six Drawers included are mounted on ball-bearing full extension slides, an integrated pull handle, a vertical drawer space of 30" and an internal drawer dimension of 23" W x 16.75" D. The cart has pre-drilled threaded holes designed for accessories, a breakaway lock bar, and 100 breakaway seals. Safe and Easy Transport. 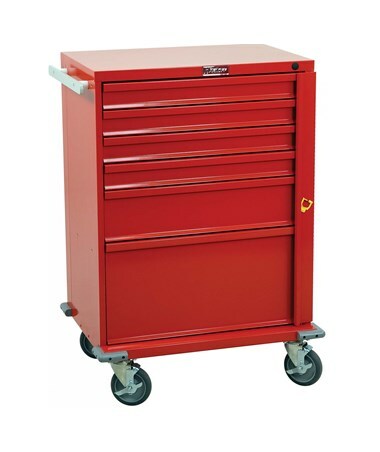 Mounted on 5" ball-bearing full swivel casters with two that brake, the V-Series Six Drawer Crash Cart, with its aluminum side rail/push handle, can be moved around the facility hassle-free. With safety and stability as a priority, the Cart features a bumper frame that extends front casters and four corner bumpers. Product Weight 118 lbs. or 138 lbs.